When you hit a little more seriously in the wine story and if you want to learn more then you will begin to search for the books. It is the same if you start with the edition ” for Dummies” and “Wine Folly” or immediately buy Grape Atlas of Janice Robinson and Hugh Johnson, in the end you will buy all :). Also while sailing through the ocean of books you will find a interesting pieces, a books that are focused on food and wine from the standpoint of history, ethnology, sociology etc, which deserve to be read. We would recommend several of those which were very interesting to us. 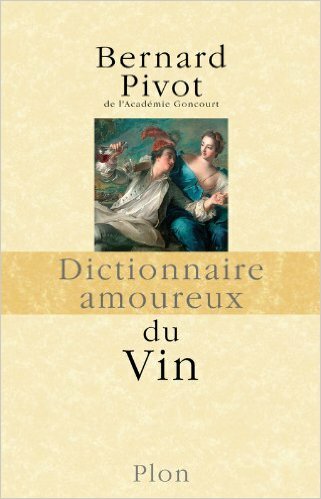 Bernard Pivot , famous French journalist, the son and grandson and great-grandson of winemakers, trough the story of the grapes and the wine told a lot about himself, the French and France in the second half of the twentieth century. Everything is here : the history of Champagne,silver tasting wine glasses, Marshall De Gaulle, Charles Bukowski, and of course the French wine community. All terms and topics are described in a charming small articles that fit on one page of the book in the style of a dictionary of foreign words, so you can read book when you want and how you want, from the end or the beginning. Very informative, very warm and very interesting. Published in 2006 by Walker Publishing Company Inc.
One in a series of books written by Tom Standage, english journalist, a lover of history of science and technology. 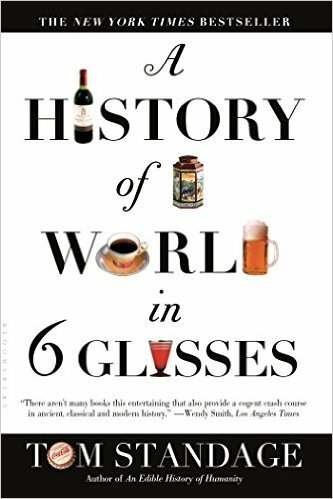 The book provides a summary overview of the origin of the beer, wine, rum, coffee, tea and cola, through the six-story covered the development of human civilization from the 6th millennium BC to the mid 20th century. The story consist of many of historical, archaeological and ethnological details. but do not think of it as a bornning and dull analytical articles. Tomas way of writing puts the reader in the center of the action, so you might think that the things are going on right before your eyes, old Babylonians pouring wine in amphorae, caravans carried tea leaves, and slaves in the Caribbean cut sugar cane. A book that is not drained out of hand until the end. My sister in low brought me a book about Italian wine and food. Ugly cover, Russian woman who writes about the Italian cuisine (looks like book with recipes ???) , very discouraging . I almost returned it unopened. Fortunately , almost! Then I read it slowly as drinking good wine, sip by sip. 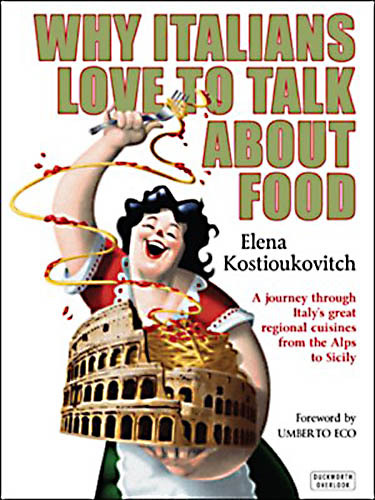 It is very charming story about Italy, focused on the history and geography of food and drink cultures, but not only this, because trough gastronomic topics Elena talks about Italian and European culture and history. Between chapters with information about typical and traditional regional (Lombardi, Toucans, Sicilian..) food and drinks, there are chapters to covering : Pilgrims. Jews, Olive Oil, Eros, Restaurants, Totalitarianism, with very interesting approach to this subject and their influence on eating culture. So, sincere recommendation for all who love Italy, gastronomy and history. The book was translated into English, Italian, Spanish, Chinese, Korean, Russian, Serbian .